The beaches and other outdoor surroundings create an inviting atmosphere in Sant Antoni de Portmany. Well known for its bungee jumping, bars and aquarium, this romantic city won't disappoint. Ibiza Castle and Es Vedra Island are just a couple of the must-sees in the area. If you need more space to accommodate a family vacation or friends trip, rental homes often come with separate dining areas and spacious living rooms. If you're planning a vacation around warm-weather activities, August, July, September and June are the hottest months to visit, when temperatures average 86°F. Fly into Ibiza (IBZ), the closest airport, located 8 mi (12.8 km) from the city center. Where to stay near Sant Antoni de Portmany? Our 2019 vacation rental listings offer a large selection of 1,334 house rentals near Sant Antoni de Portmany. From 820 Villas to 314 Houses, find unique vacation rental for you to enjoy a memorable holiday or a weekend with your family and friends. 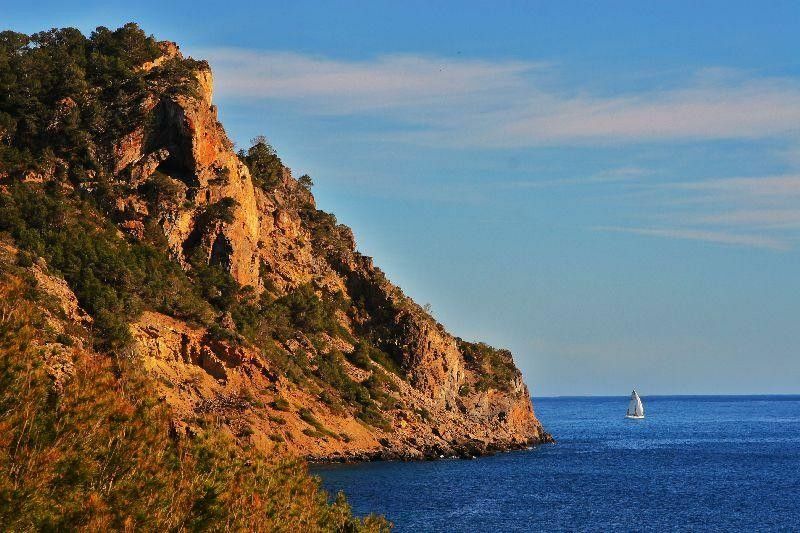 The best place to stay near Sant Antoni de Portmany is on HomeAway. What are the popular points of interest near where I can stay when travelling to Sant Antoni de Portmany? But there are many other points of interest around Sant Antoni de Portmany listed on HomeAway where you can find your place to stay. Please use our search bar to access the selection of vacation rentals available near the point of interest of your choice. Can I rent Villas in Sant Antoni de Portmany? Can I find a vacation rental with pool in Sant Antoni de Portmany? Yes, you can select your preferred vacation rental with pool among our 1,147 vacation homes with pool available in Sant Antoni de Portmany.